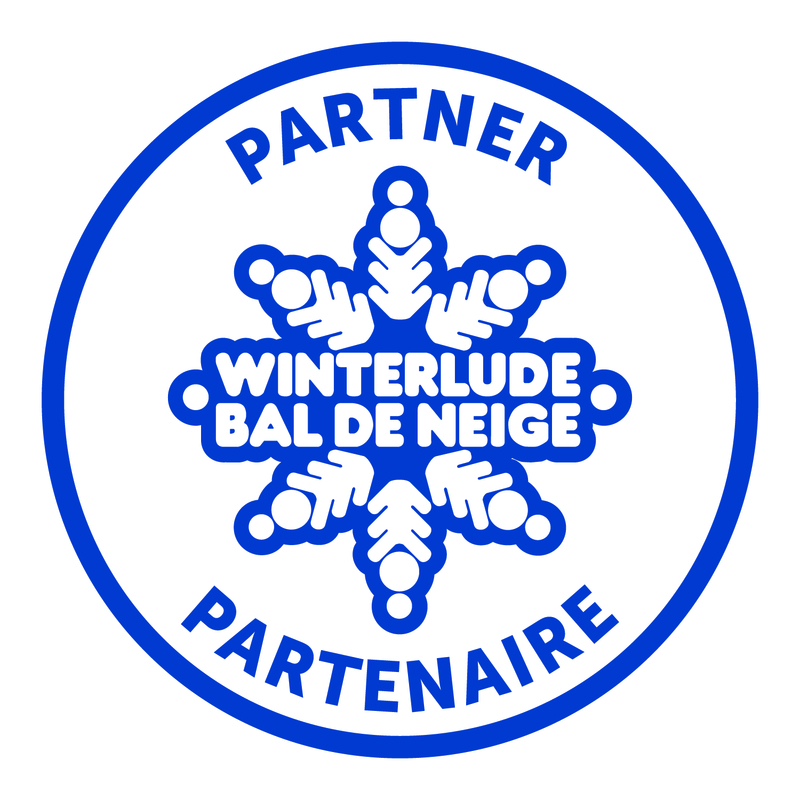 Chinatown Winterlude Lunar New Year Parade will start at 1 pm on February 14, 2016 from Plant Recreation Center on 930 Somerset Street west; turn around on the Bay Street and then finish at Plant Recreation Center at 2:30 pm. Ottawa, Ontario – Somerset Street Chinatown Business Improvement Area (BIA) is excited to partner with Canadian Heritage in 2016 Winterlude for its annual lion dance parade during the lunar new year on Sunday February 14, 2016 starting at 1 pm. The Chinese Lion Dance goes back over one thousand years. The first record of the performance of an early form of the lion dance dates to the early Qing and Han Dynasties (Third century B.C.). 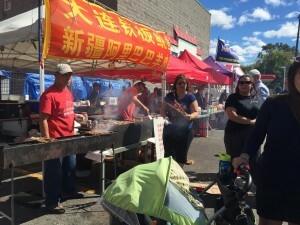 At the beginning of the lunar New Year in Chinatown, lion dance groups tour from business to business to bring good fortune and to ward off evil spirits. 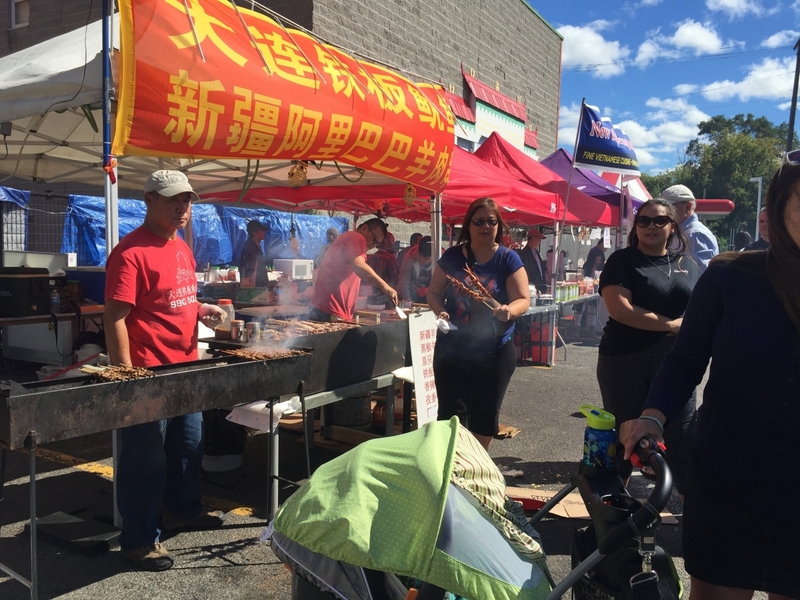 Come to experience the tradition, hear the fire crackers, and get your New Year good fortune by following the lion dance parade in the Ottawa Chinatown – a multicultural village with an Asian flavour! 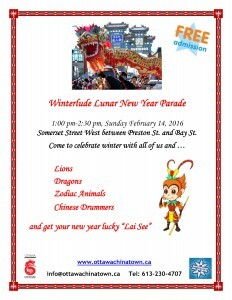 To celebrate Winterlude in Chinatown, all the zodiacs will come to join the lion dance this year! You would not want to miss this extravaganza!